This is another beer that has been kicking around the house for some time. Not even sure where I got it at this point but after my bad experience with the Infidel red ale I decided to open another. Fortunately this one was one of the better red ales that I have reviewed. Pours a very deep and clean red with a small tan head. Aroma is almost all sweet malts but this may be due to the age of the bottle, if it had hop aroma it almost completely disappeared by the time I opened this bottle. The taste was a well balanced mix of piney hops and sweet malts. The hops were lacking in the aroma but quite apparent in the taste. Overall this was a very nice from a brewery that I know very little about. 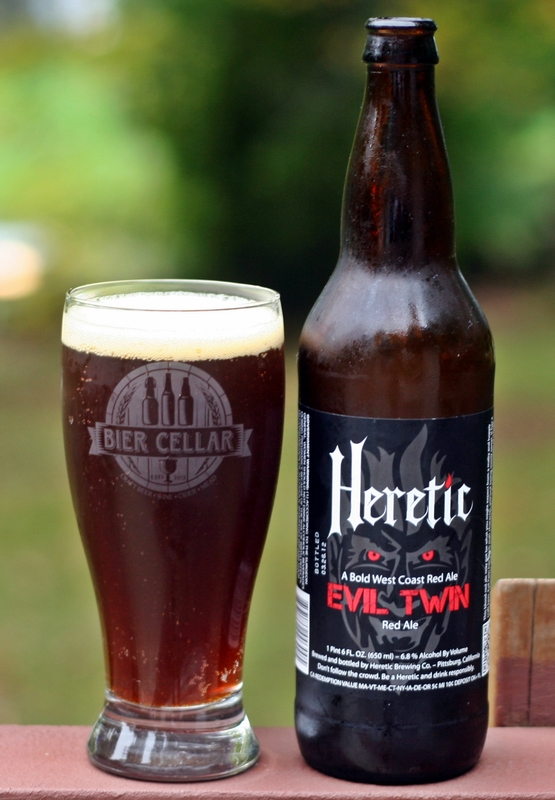 Brewers Description: This blood-red ale may not be what you might expect from a malty and hoppy craft beer. 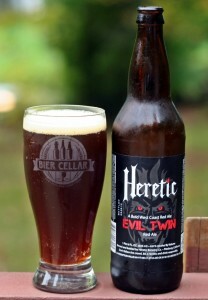 Evil Twin has a rich malt character, without being overly sweet. It has a huge hop character, without being overly bitter. It is a great example of a bold, rich, balanced craft beer, without being heavy and hard to drink in quantity. Our Evil Twin is only bad because it is too good to resist.